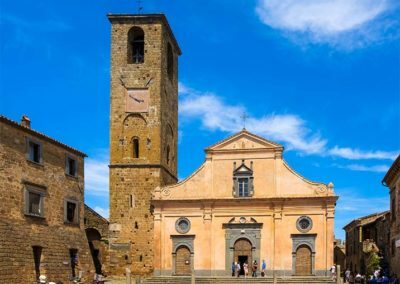 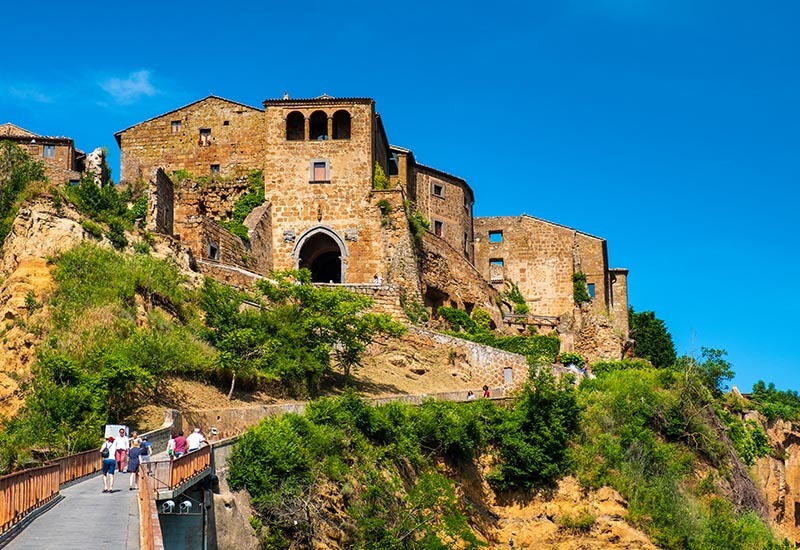 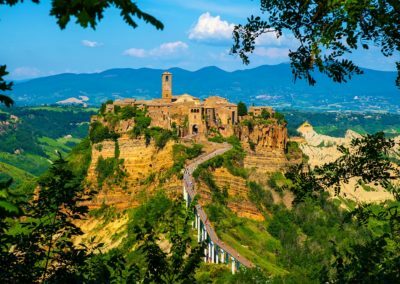 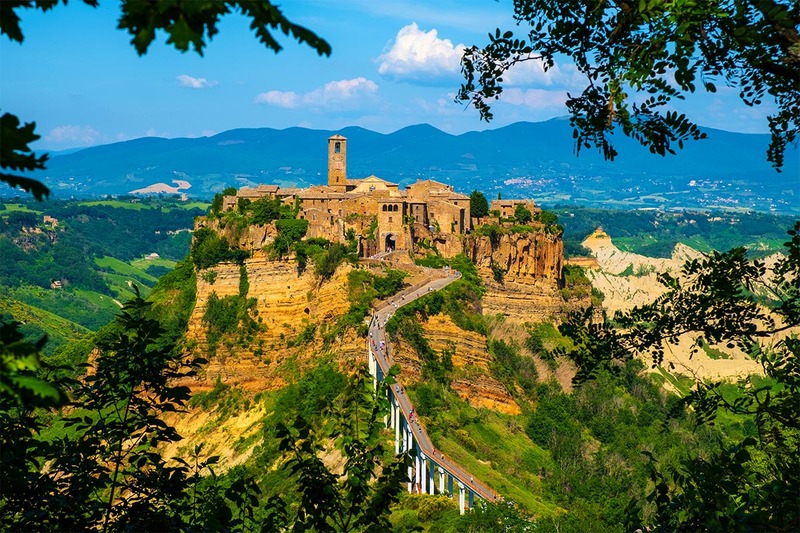 Moving further through the Lazium region, you cannot not get astonished by the beauty and misterious charm of this place – Civita di Bagnoregio. 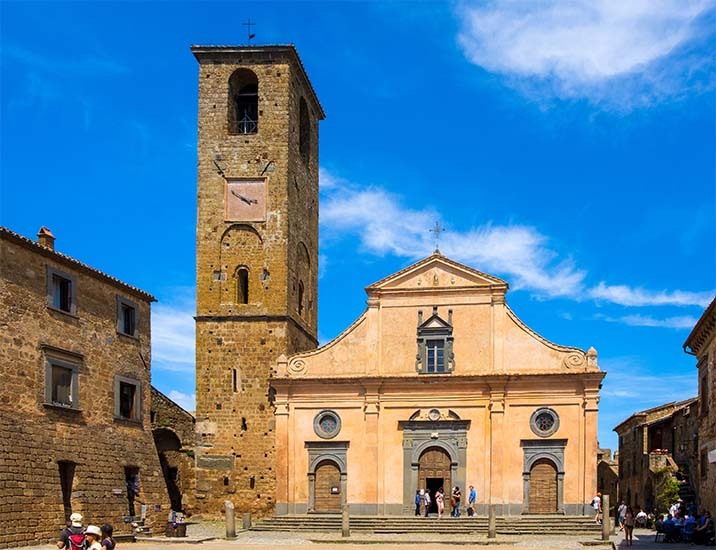 Started by Etruscans over 2,500 years ago, then being a lively place within all timespan until late Middle Ages. 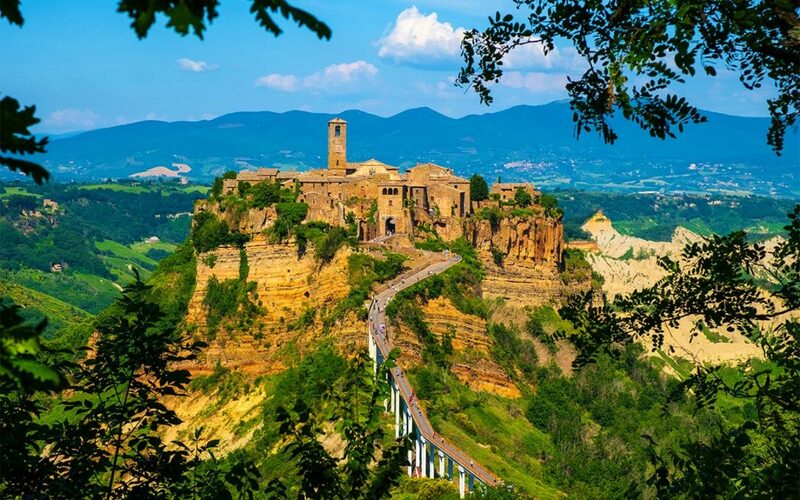 Its beauty and charm is even greater because of the location and “structure” con the town. 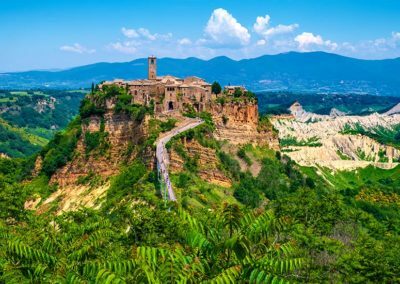 It is situated at the top of a plateau of volcanic tuff overlooking the valley of Tiber. 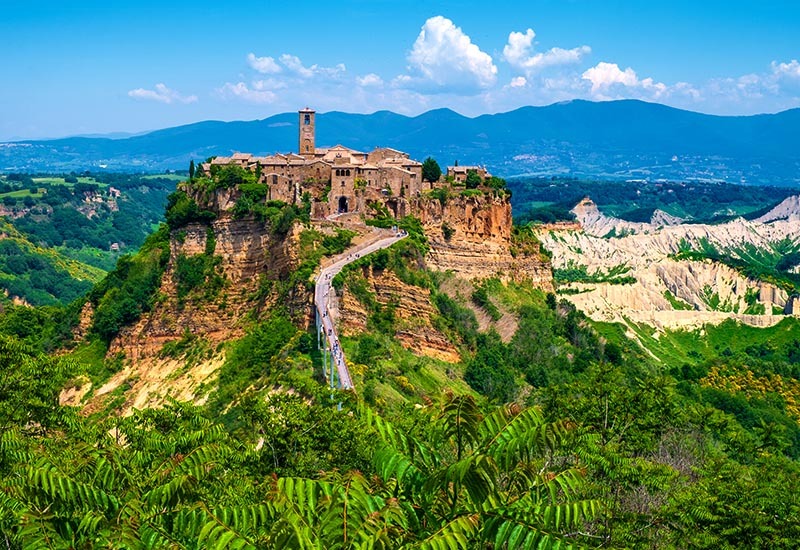 Because of the erosion, the base rock of the town is literally disappearing over decades causing constant risk of demolishing of the town itself. 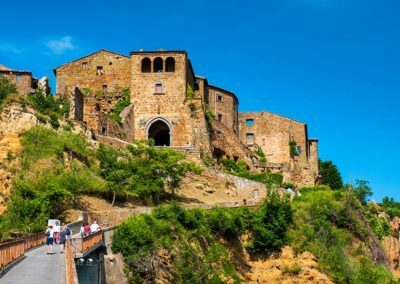 Simply lalled in love with the place and the spirits above it.